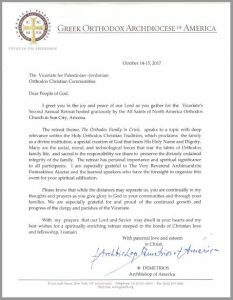 On Saturday, October 14, the Second Annual Spiritual Retreat of the Palestinian and Jordanian Orthodox Christian Communities in the United States of America on “The Orthodox Family in Crisis” took place in the Sun City of All Saints of North America in Sun City, Arizona. 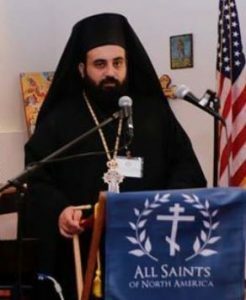 The work of the Conference was begun after a letter was received and read from his Eminence Demetrios, Geron of America. 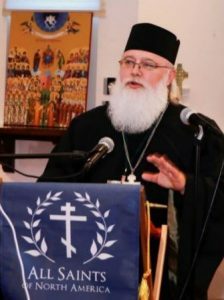 The first presentation, by the Archimandrite of the Ecumenical Throne, Damaskinos Alazrai, was “The Mystery of Matrimony”. 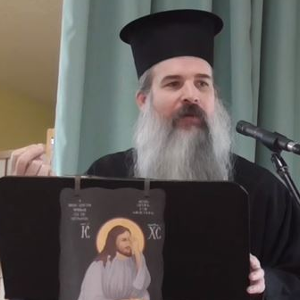 The second presentation, by the V. Rev Thaddaeus Hardenbrook, rector of Saint Lawrence Orthodox Christian Church, Felton, California, had the subject of “The Family as the Domestic Church”. The third and last presentation, by the V. Rev. 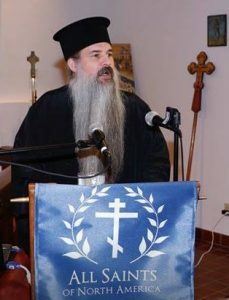 John A. Peck, rector of All of the North American Saints in Sun City, Arizona, had the subject of “The Orthodox Family in the Time of the Crisis and Strategies for Survival”. 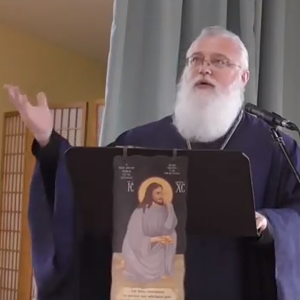 The next day, Sunday, Oct. 15 was the date of a festal Divine Liturgy including the presentation and veneration of the relics of 3 North American Saints – St. Herman of Alaska, St. Tikhon of Moscow, Enlightener of North America, and St. Raphael of Brooklyn. Participation in the Congress surpassed all expectations, and the spiritual retreat received very positive reviews from participants, many of whom came from several cities in Arizona and from neighboring states of California, Colorado and Nevada. 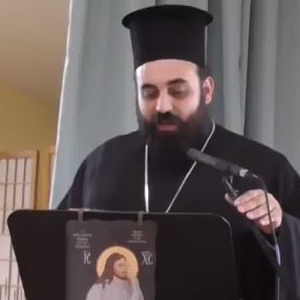 A video of the Divine Liturgy can be seen here. Orthodox Christian parents, Godparents, Grandparents, and newly married couples planning on having children will find much worth hearing, and great encouragement. 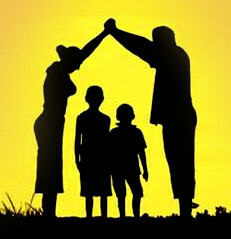 As the world rages against the family, and children in particular, the Church offers answers (not promises), and time tested strategies that work for guiding and protecting your family.